Robotic surgery has undergone an evolution at an incredible rate in the last decade with robotic-assisted radical prostatectomy (RARP) now being the most commonly performed robotic procedure. More impressively, as a urologic community, we have witnessed a paradigm shift in that the robotic approach has now become the standard approach for radical prostatectomy in the majority of hospital centers. 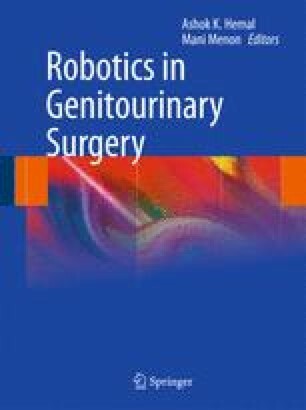 Although guidelines for the safe initiation of this technology are an overwhelming necessity, unfortunately no standardized credentialing system currently exists to assess competency and safety of the robotic surgeon. Intuitive Surgical web site. http://www.intuitivesurgical.com. Accessed August 15, 2009.